SPECIAL CHRISTMAS DEAL - Usually 12.99, today just 7.99 - Save £5! 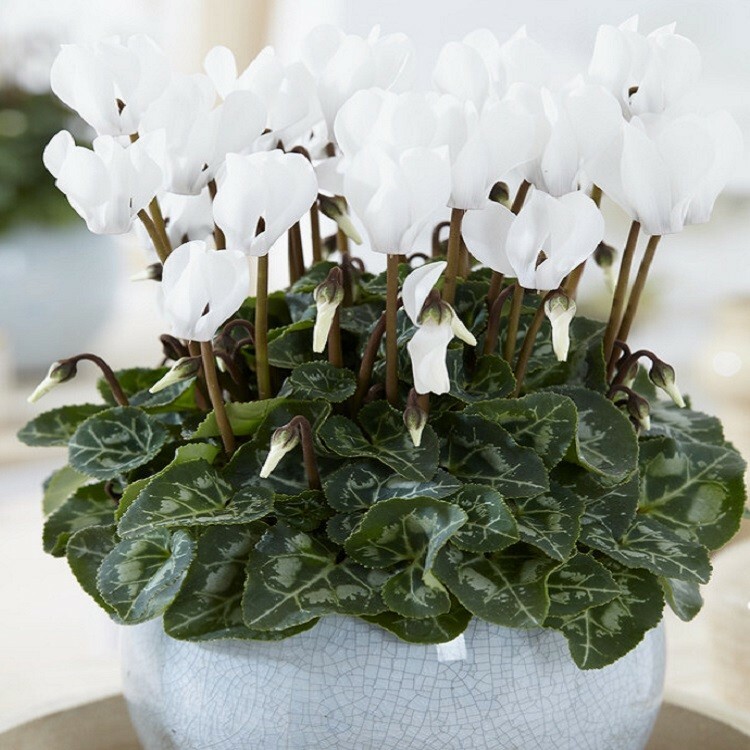 Miniature Snowy White Cyclamen in Bud and Bloom as pictured, complete with white display pot. 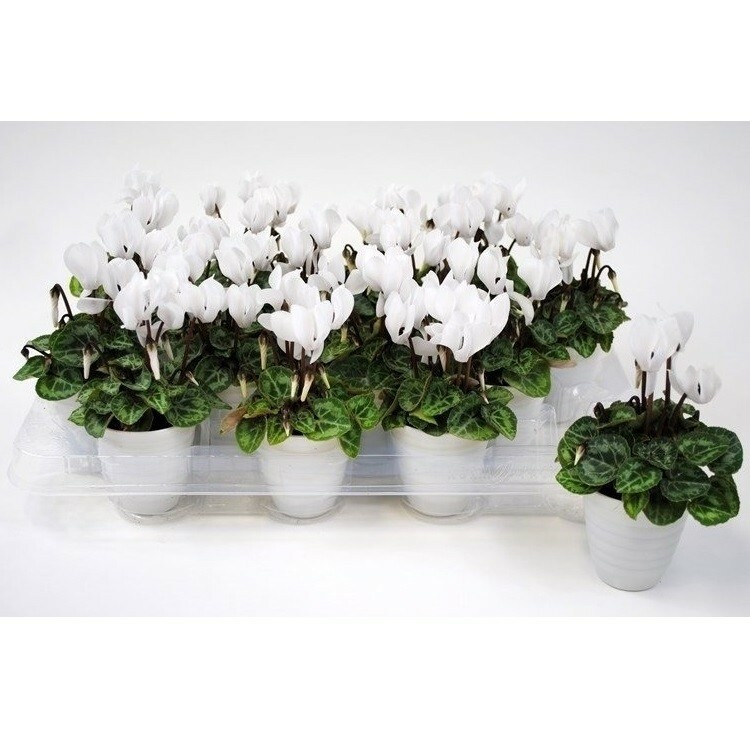 This is a lovely variety of much loved lightly fragranced Cyclamen with beautiful white flowers. 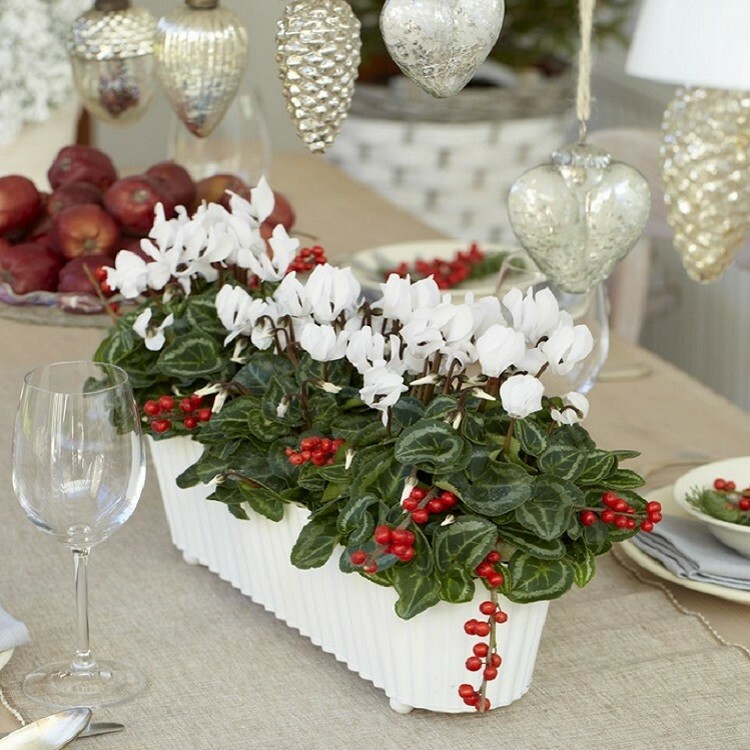 Making an attractive, easy to care for houseplant, it is perfect to brighten the home over the festive period, producing many blooms over several months through the winter. They would also make a wonderful present. Try them dotted around the home in groups or on their own. They would also look great decorating your festive dining table, perhaps combined with some of our Winter Roses Poinsettia. Pack of THREE 9cm potted Plants in bud and bursting in to bloom, complete with white display pots as pictured.